The above slide presentation was created for a workshop I’m facilitating about “Tips & Tricks for Supporting SPED Students” by using Google Tools. My day job is as a K-12 Special Education Teaching Assistant who has spent approximately two decades working with both elementary and middle school students. One of the biggest issues I’ve noticed across the board and throughout time is the limitation of organizational skills. In this digital age there are many tools which could be used to assist with organization. 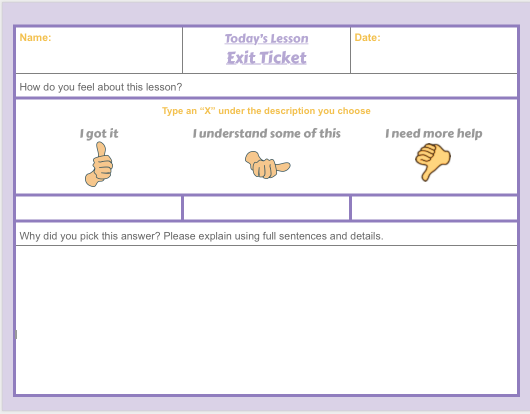 These tools when implemented as supports may help students quickly access the teacher’s lesson materials. You might ask what does this mean to a student with physical, emotional or cognitive exceptionalities? Organization and quick access to information may be a game changer for some students. Over the decades I’ve noticed the “Stress” build on some student’s faces as they stumble locating lesson materials. This only sets them behind as they focus on finding the materials and unintentionally miss hearing or seeing the directions provided by teachers. It is my belief with the support of digital devices some of this stress may be eliminated for both the student and their teachers. Using Chrome Navigation is only one of many Google Tools which may be used for supporting the student of exceptionalities. In an earlier post this year I shared about adding images to Google Calendar. Visuals images assist some students with understanding information. Adding images such as Favicon’s without text to the Chrome Bookmark manager are less overwhelming then images with text. Of course it supports the student who has low reading skills. It also provides a cleaner look with less distraction supporting the students with focusing issues. Simple tips & trick which tend to be overlooked may eliminate stress for some students as well as the adults who support them. I hope you find the content in the slide deck to be helpful.